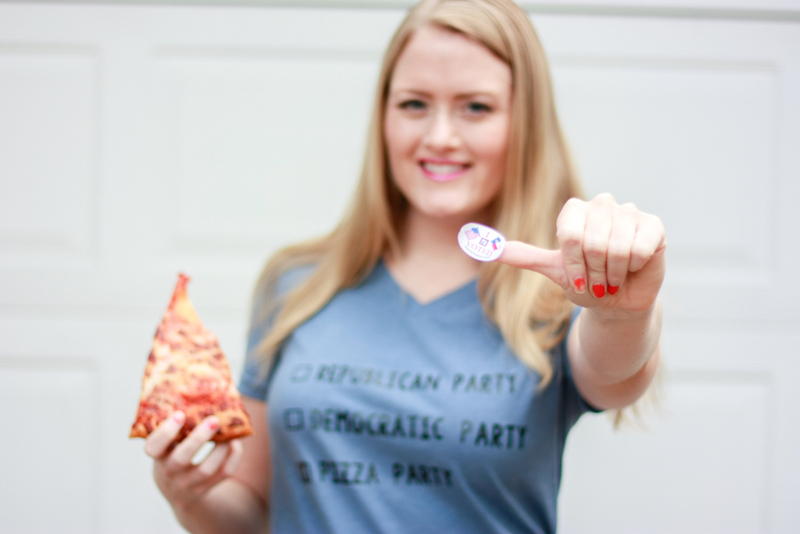 We are less than a week away from the 2016 presidential election! Don’t worry, this won’t *really* be a political post. This political season has stirred a lot of emotion and controversy. I have strong leanings, but you aren’t here for that – you wanna see what I crafted up this time! If you remember back in August, I traveled to Haven in Atlanta. I’ve talked about it a lot because it was that was an amazing conference for DIY and home bloggers! 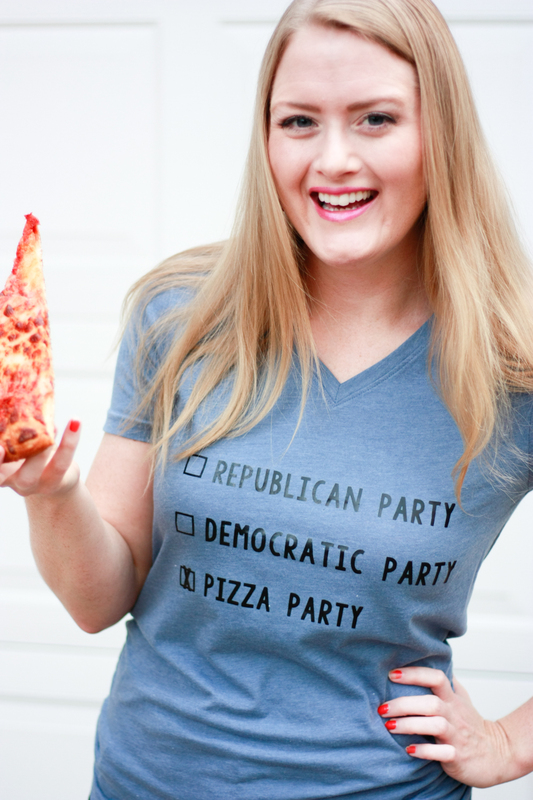 I made a crafty tee to wear that weekend, and I whipped up another t-shirt with heat transfer vinyl from Expressions Vinyl just in time for the election! 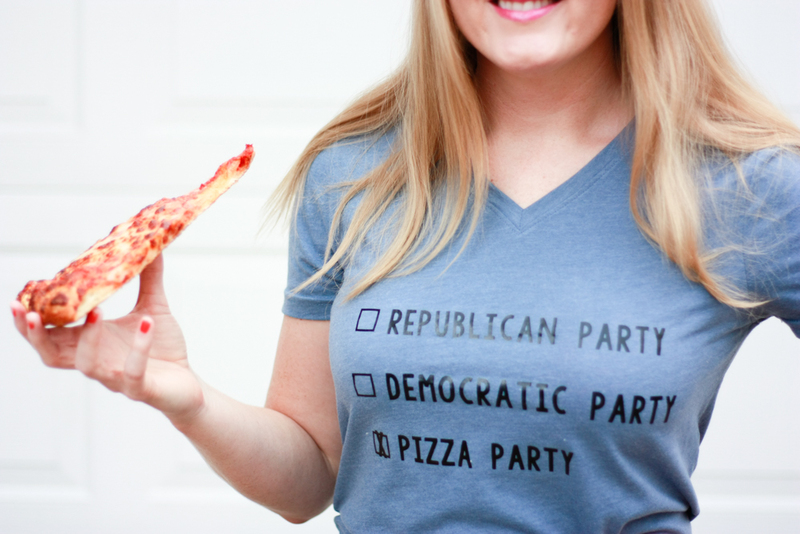 A special thanks to Expressions Vinyl for sending me the Heat Transfer Vinyl used for these Political Party tees! This post contains affiliate links. If you shop from my blog, I may be compensated for clicks or purchases that you make. Thank you for your support! Please refer to my disclaimer page for more information. Cut your phrase out of the Heat Transfer Vinyl. Be sure to cut with the shiny side down. If you use the file I’m sharing that I created in Photoshop, just be sure you mirror your text! Once the design is cut, carefully weed the vinyl (remove any of the excess vinyl) and you’ll be left with your backwards text on a clear sheet. Position the text on the t-shirt and apply. Put the scrap fabric over the design and use the hot iron to press down firmly. Try to limit the movement of the iron but be careful not to leave more than 20-30 seconds. You may singe the scrap fabric a bit but your design should be fine. Before pulling up the clear sheet, test the corner and make sure the words stay down. If they don’t, re-apply heat and pressure until it’s properly adhered. Click the DOWNLOAD LINK below to get the Political Parties file! 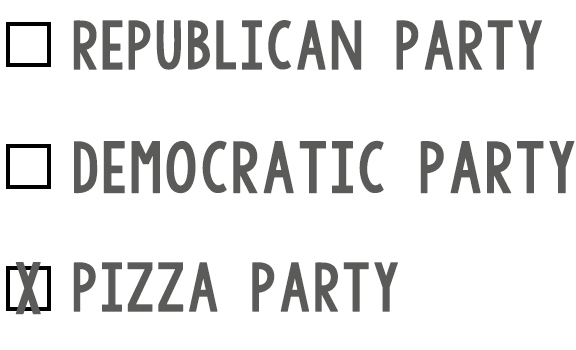 While we’ll never all agree on a politics, one party is universal. 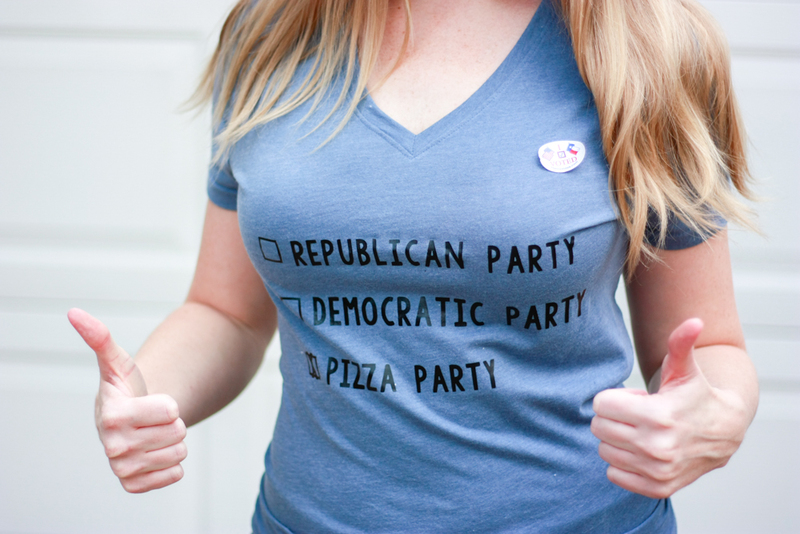 THE PIZZA PARTY! 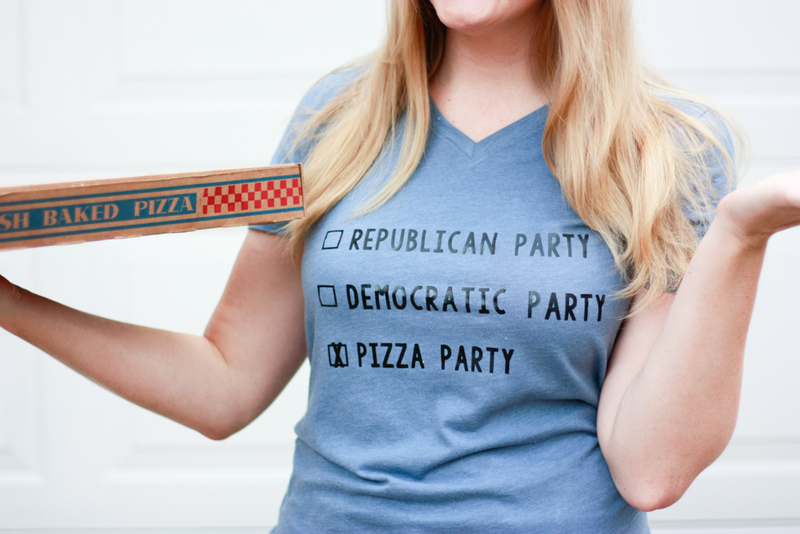 This is how I’ll be celebrating election night. « DIY Minion Costume – Make your own Minion Halloween costumes! This shirt is so cute! I love making my own graphic tees, they always turn out so great!